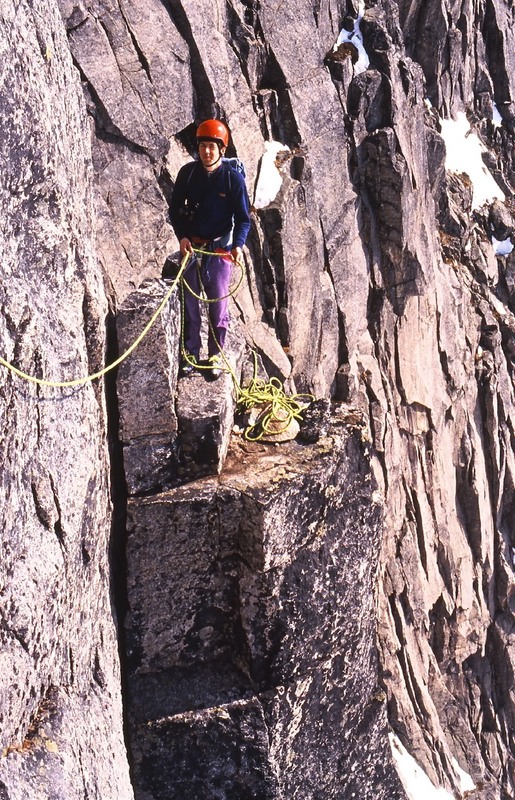 Climbed by Bjørn Arntzen and Geir Jenssen, May 1991. 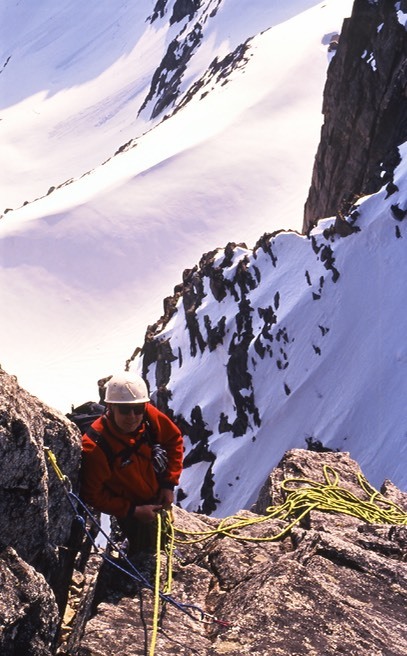 Bjørn Arntzen on the traverse on the third pitch. 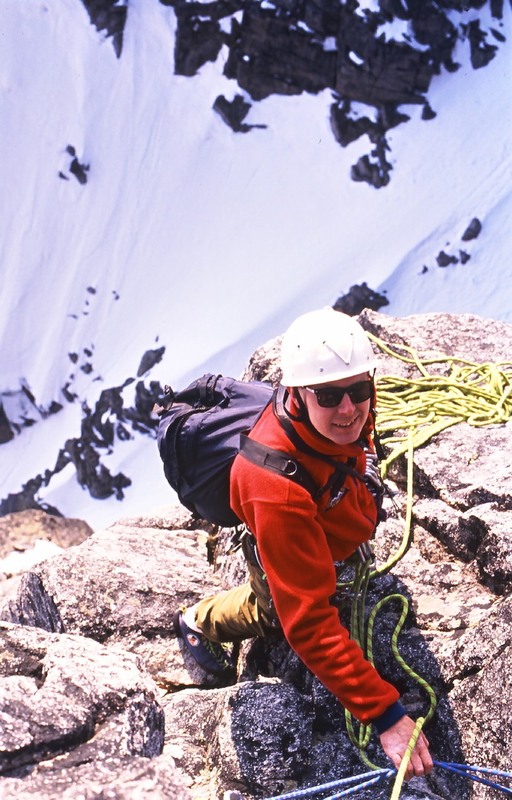 Geir Jenssen on the second belay. 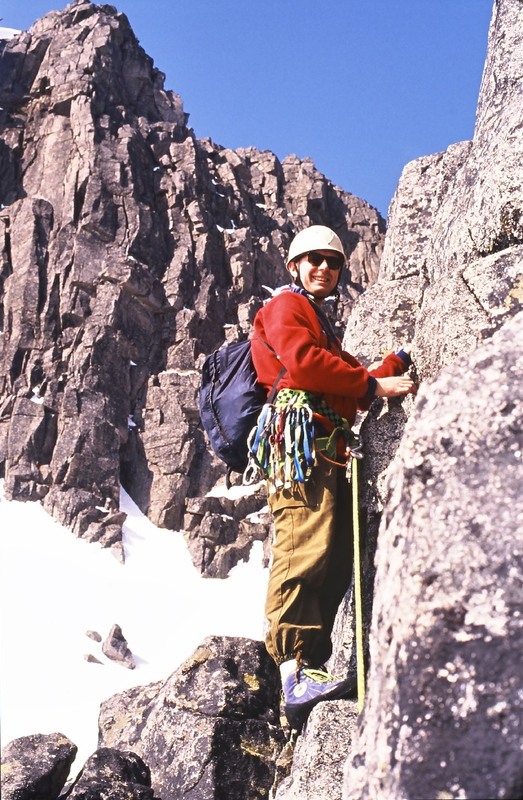 On top of the third pitch. 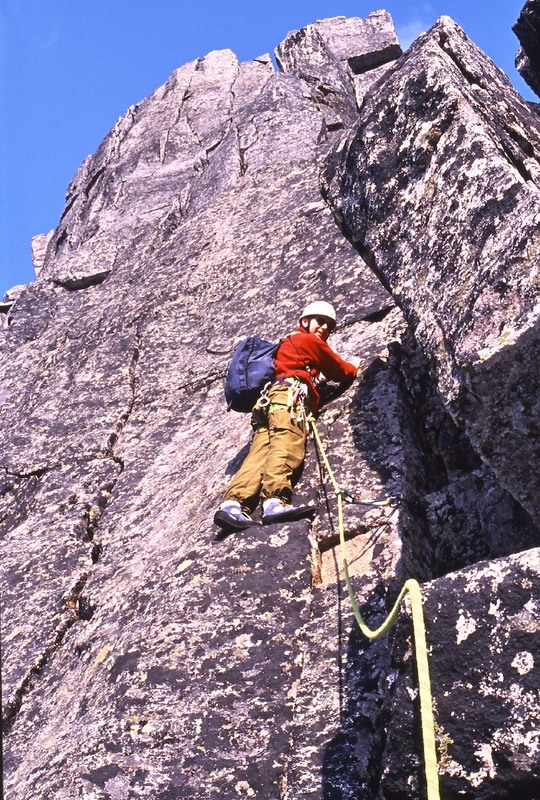 The fifth and final pitch. A view from Lanterna towards Tromsø Klatreklubb´s cottage. 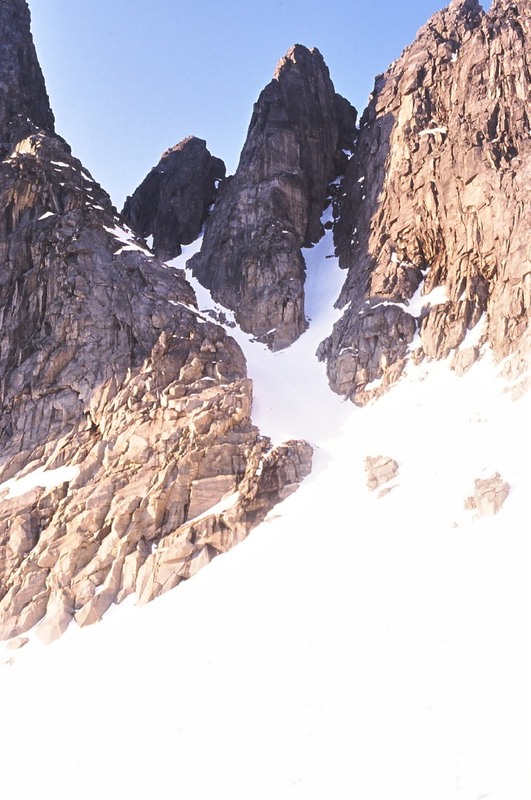 A view towards Melketinden from the summit. 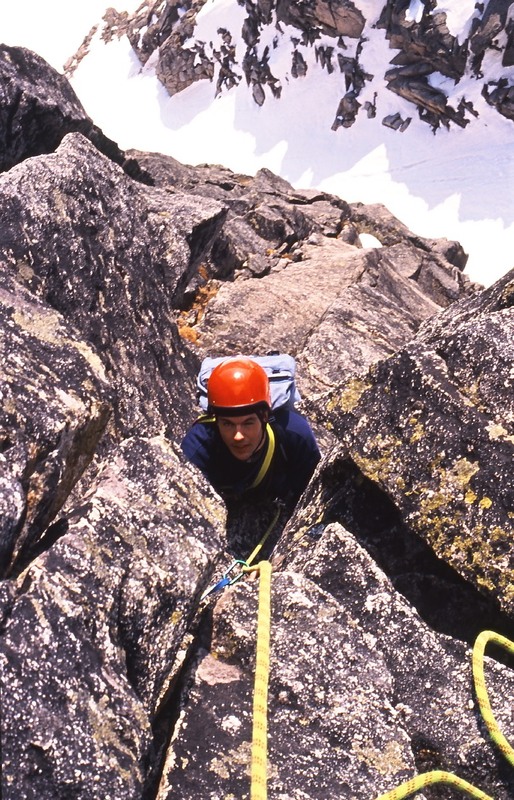 Abseiling the steep couloir between Lanterna and Tollepinnen. 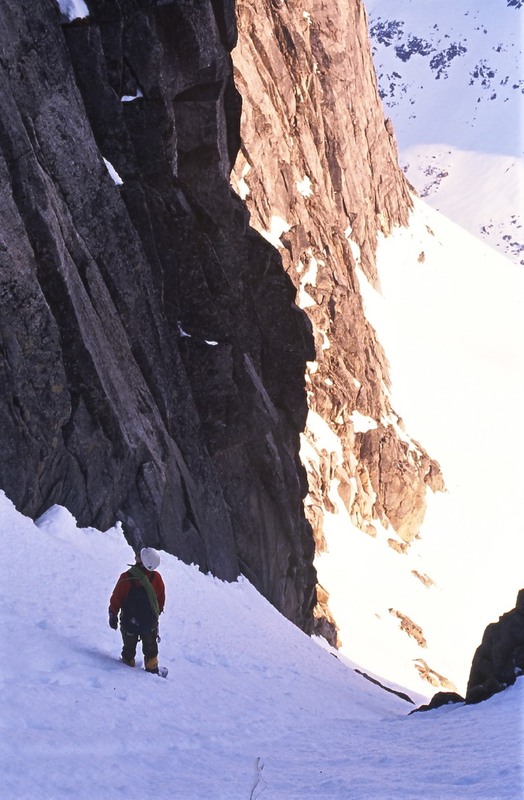 From the Kvaløya Archives: Lanterna is a very distinguishable pointy top tucked away between Kjølsvinet and Styrhuset. 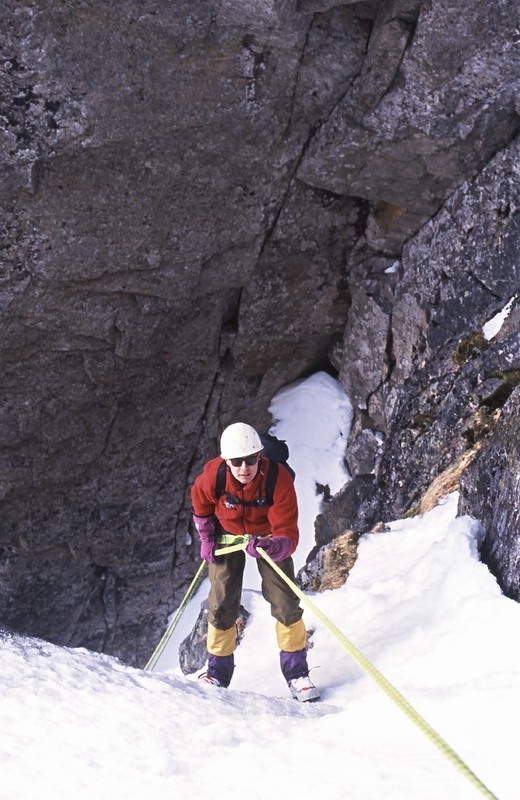 The Lanternarenna is the obvious aproach and return gully, which should be treated with respect as it is fairly steep. 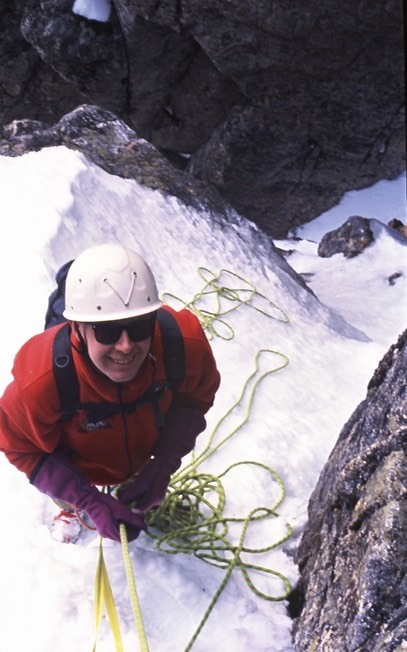 Bring sturdy shoes when there is snow in the gully. An easy and airy classic. 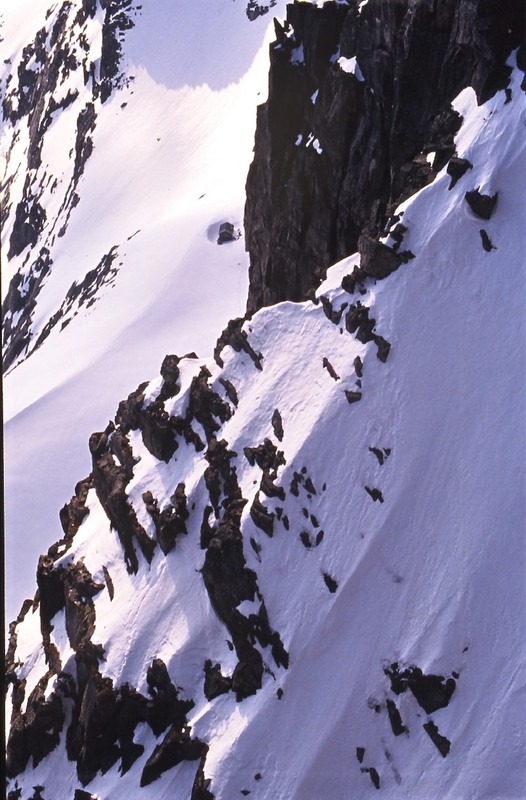 Be careful on the approach/descent via Lanternerenna, it is steep and the snow may be hard (only snow free in the late summer). 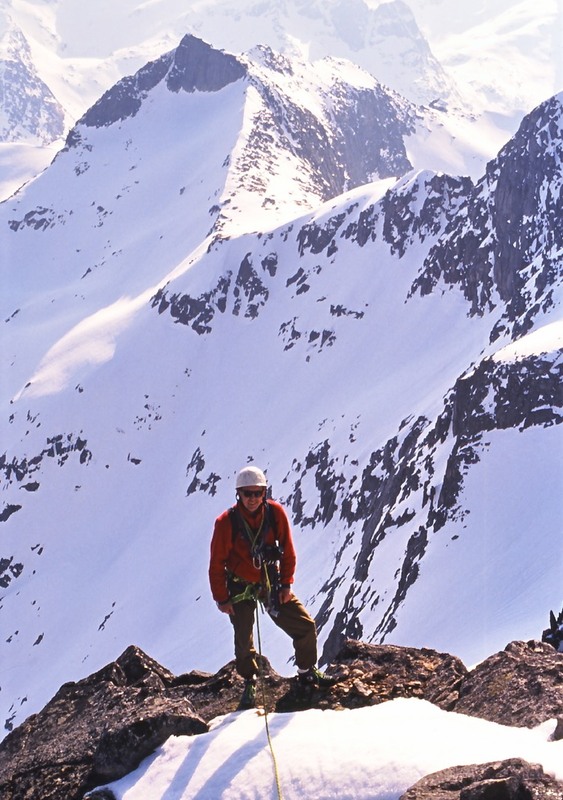 First winter ascent by Magnar Osnes and Christian Korvald, 1986-03-24.